IN THE CASE OF INCLEMENT WEATHER, CLASSES WILL NOT BE HELD. IF SCHOOL AND/OR GOVERNMENT IS CLOSED, SO WILL MAIN LINE PROTECTIVE SERVICES. Main Line Protective Services, Inc. of Largo, Maryland, offers professional security training in a friendly, family-oriented environment with 1-on-1 instruction. Our goal is to assist with job placement, certification, and more to help you get hired at a company in need of security. With our extensive guard and firearms training expertise, we are helping professionals get certified in their fields. Hours are flexible, allowing us to provide training around your work or school schedule so you can continue to make a living while earning licenses and certifications. Contact us today to request your training seminar. Main Line Protective Services does not offer any refunds for any service. Main Line Protective Services has the right to deny refunds once applicant register’s and pay for any class. Main Line Protective Services have the right to charge $35.00 to all returned checks. Classes must be paid in full by end of class. Main Line Protective Services has the right to hold all certifications and credentials until account is paid for. 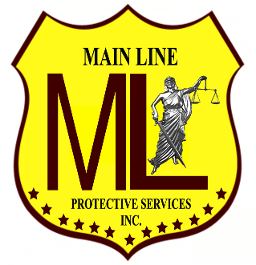 Main Line Protective Services, Inc.